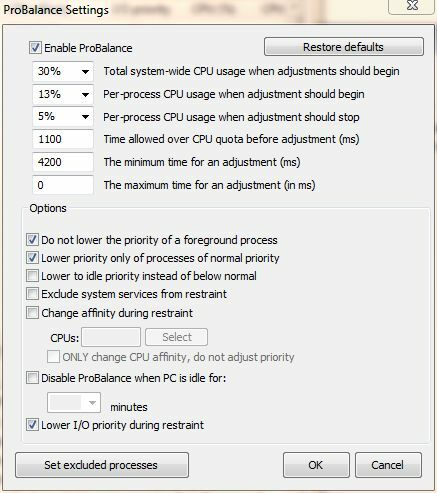 Process Lasso is a unique new technology that will, amongst other things, improve your PC's responsiveness and stability. 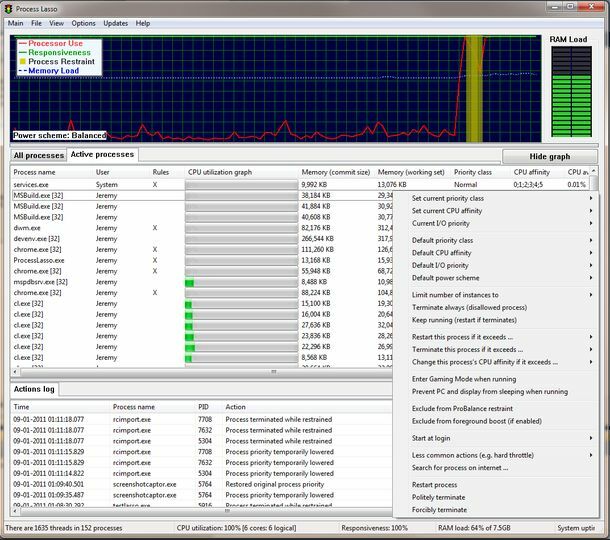 Windows, by design, allows programs to monopolize your CPU without restraint -- leading to freezes and hangs. 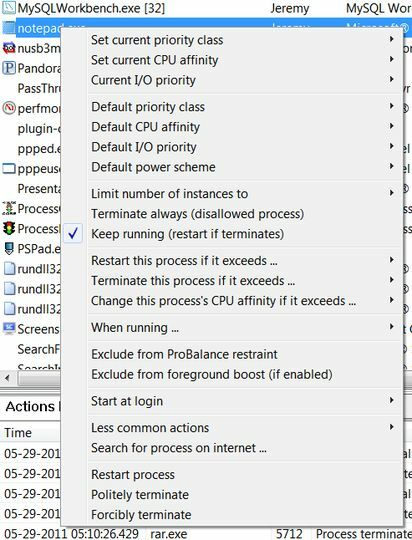 Process Lasso's ProBalance technology intelligently adjusts the priority of running programs so that badly behaved programs won't interfere with your ability to use the computer! In addition, Process Lasso offers capabilities such as default process priorities and affinities, termination of disallowed processes, instance count limits, a system responsiveness graph, logging of processes, and much more! 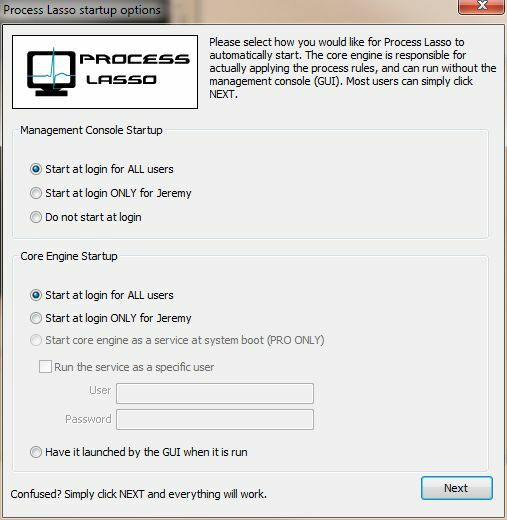 Once you install Process Lasso, it'll just start working. More advanced users can tweak the configuration, but you needn't touch anything to have it instantly improve your system responsiveness and prevent stalls in high load situations.